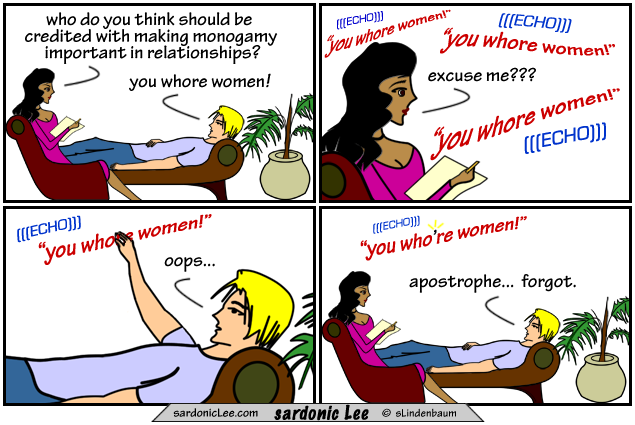 Whore you calling a whore? me too… but i ca’nt. Once a who’re always a who’re! What a difference a dot makes.